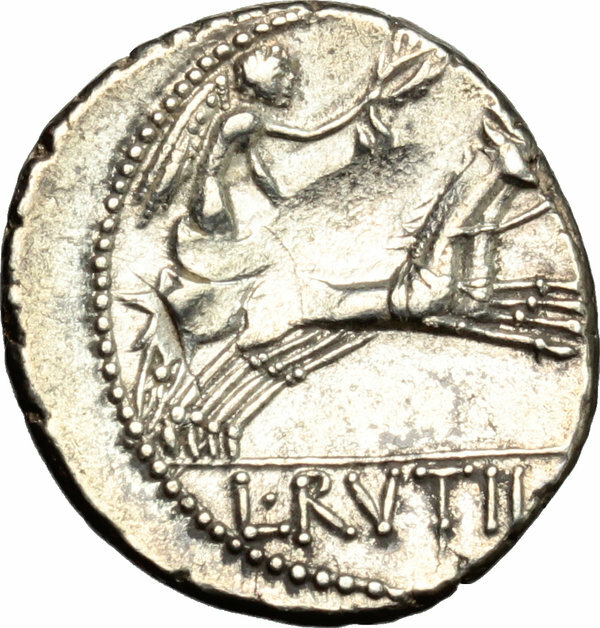 Coins 263 L. Rutilius Flaccus. 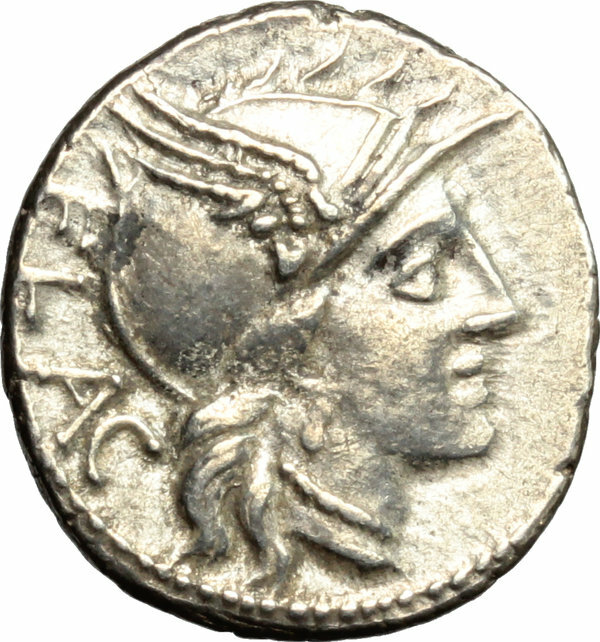 AR Denarius, 77 BC. D/ Head of Roma right, helmeted. R/ Victoria in biga right; holding reins and wreath. Cr. 387/1. AR. g. 3.77 mm. 18.00 Metal flaw on reverse. VF.